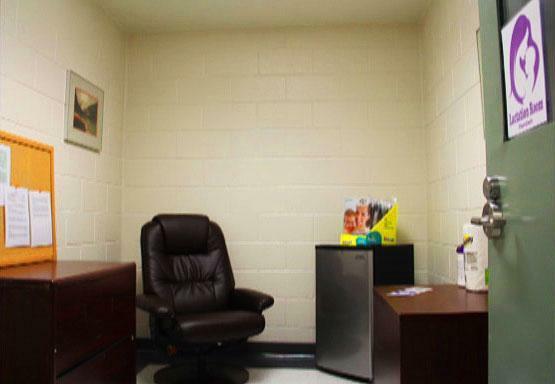 Chatham County Sherriff's Office in Savannah, Georgia has a nice nursing room for employee and visiting moms. The lactation room has been furnished with a refrigerator, comfortable recliner, locking cabinet and end table. There's also an electric outlet for moms using brest pumps to express milk.